Your neighbourhood family-friendly Chilliwack dentist! We strive to make every appointment as quick, comfortable and effective as possible, we also offer you the latest in dental technology. We also love hearing from our Chilliwack patients and keeping in touch through our Eagle Landing Dental Blog. We are excited to a part of your Chilliwack neighbourhood and your oral health care. You can find Eagle Landing Dental just off Highway 1 on the way to Hope, at 702-8249 Eagle Landing Parkway in the Eagle Landing Shopping Centre in Chilliwack. 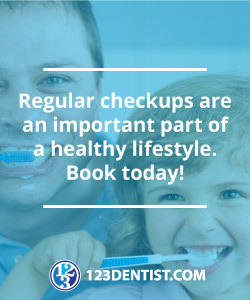 Contact Eagle Landing Dental today to book an appointment!